Plassmann Hall of Liberal Arts opened in 1959 at a cost of $1.5 million. The building honors Rev. Fr. Thomas Plassmann, who served as president of the university for twenty-nine years. 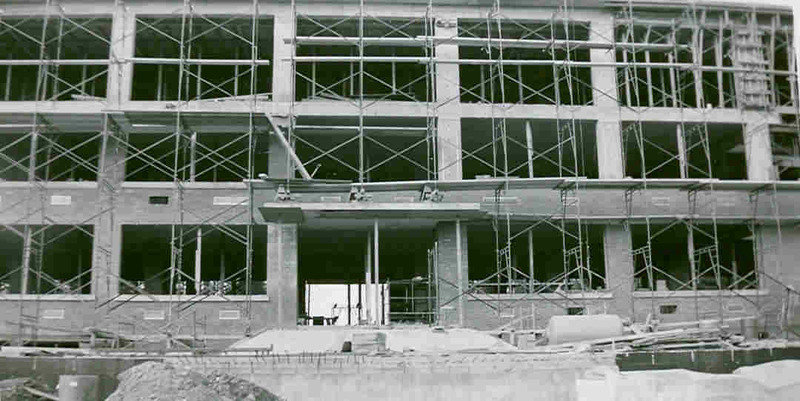 The structure was dedicated as Plassmann Hall on June 13, 1959. The four story brick structure, set in wide-lawns and trees, faces east and looks over the Allegheny River and the green hills to the south and west. The contractor was the Siegfried Construction Company, in Buffalo, New York. The building, harmonizing with the Romanesque Italianate red brick library next door, was designed by a noted Franciscan architect, Brother Cajetan Baumann, O.F.M. Its dimensions are 200 feet in length, 60 feet wide and 40 feet high. The red brick walls are set off by a strip of black bricks extending up six feet from the ground, and a 9 inch soldier course just below the flat roof. An unusual feature of the building is the concrete platform, 56 feet long and 36 feet wide, in front of the main entrance. It is surrounded by and iron railing, reached by a flight of eight steps from the concrete plaza, accommodating 250 people. Over the 14 foot wide front door is a stainless steel canopy inscribed, in large letters: Plassmann Hall, commemorating the long time president of the university. Celebrants at the dedication of the building included: The Rev. Celsus Wheeler, O.F.M, Provincial, from New York City, assisted by President Rev. Brian Lhota, O.F.M. of Saint Bonaventure University, Rev. Cornelius Welch, O.F.M., University Dean, and Rev. Zachary O'Friel, O.F.M., Dean of the University School of Arts and Sciences. A spacious lobby, walled with Roman travertine marble and floored with terrazzo bisects the building. On either side of the front platform are ground level entrances flanked by terra-cotta paneled vestibules as protection from rain or snow. The lower floor contains offices for the Dean, Spiritual Director, and department heads as well as the Audio-Visual room. The upper floors contain some 30 classrooms, those at each end of the floors provided with demountable sound proof partitions to expand a 60 seat room into a 150 seat capacity hall. A mechanical equipment room beneath the plaza services lighting, water and the steam heat facilities. The new building is connected by a concrete tunnel with the main campus heating plant. A language laboratory on the second floor is equipped with televisions, computers, headphones, each in separated booth so that students can work individually or collectively. 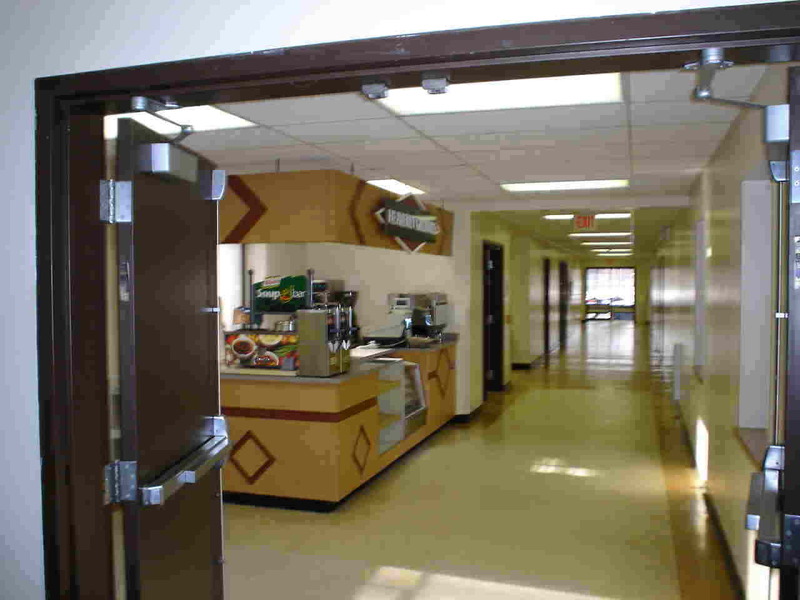 Plassmann Hall also offers a small coffee shop in the main hallway for students and faculty. The building also houses the Department of Classical Languages, Department of English, Department of Modern Languages, and the Department of Political Science. The original building was added to in 1989. It is a one story addition which also has a basement level floor. The upper level of the addition is the home to classrooms for every subject. 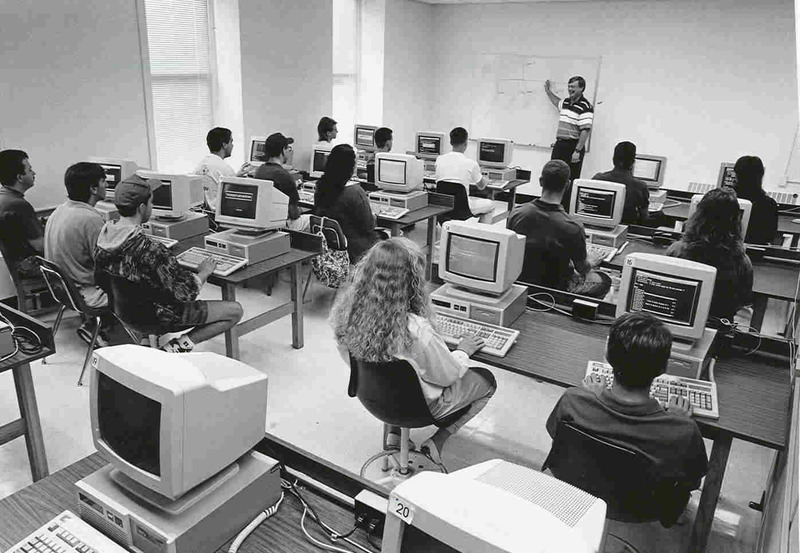 The basement of the addition is home to the Department of Education, as well as a state of the art computer lab. 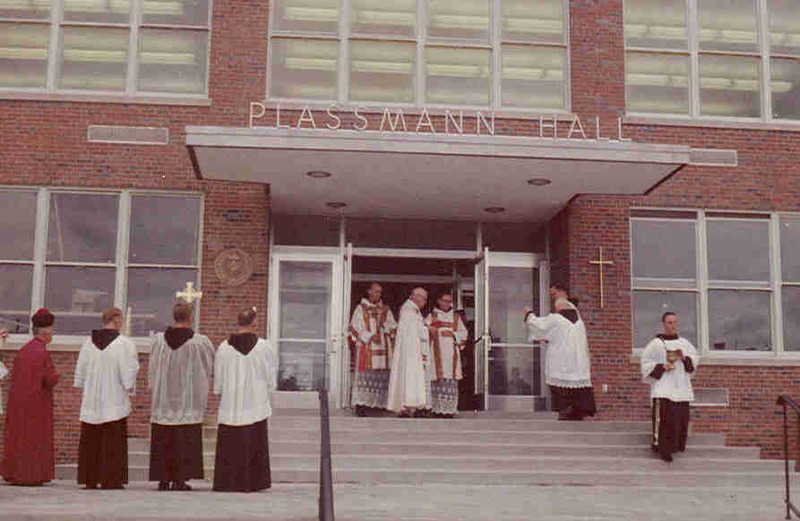 The ribbon cutting ceremony for the Plassmann addition was held on December 12, 1989.